Legal insider bot is being touted as a 100% winning and 0% loss automated binary options trading system. The developer of the system is Greg Marks, blue find a hedge fund manager that works for blue crest financial Incorporated. In the little research that I’ve done so far I’ve not been able to find any information on Mr. Marks with his blue crest financial Incorporated. Today I will be providing an in-depth review and letting you know whether or not there is an opportunity for investment here. Please spend some time watching this video as I take you through their web page and give traders my initial thoughts. 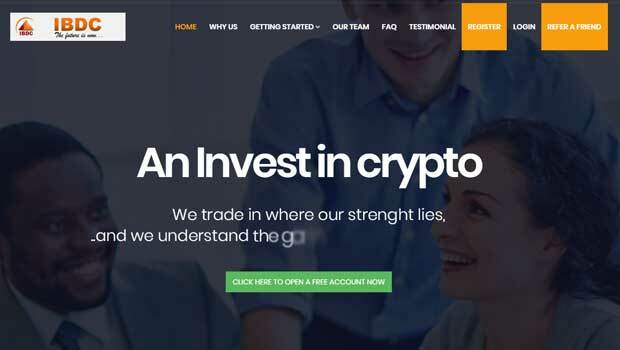 When I first came onto the legal insider bot website I thought that we may be dealing with something different than the usual free binary options system. Sadly, once I enter the members area there are a lot of the same signifiers as many of the free losing systems. In the top right-hand corner there is a countdown of licenses available which is just a hoax because if you refresh the page this number always jumps right back up to the top. Then lo and behold as I scroll down I see that traders have to register an account in order to gain access to the software. Now the legal insider bot may present itself better than the other free binary options systems on the market but there have been other systems like this in the past. One example would be binary matrix Pro which turned out to be a total flop despite promising the world. If I to guess today I would think this software is probably in that same sort of camp. Obviously it is still early and I don’t want to come to a full judgment but we’re going to have to be very cautious with this one. The legal insider bot is going to be jammed down our throats because some of the biggest affiliates are supporting it. I want everyone here at binary today to be very cautious and I don’t recommend getting involved with this system until we know more. There’s no reason for us to be the first ones trying this especially considering all of these free binary systems continuously fail. Yes, this one looks a little different in there is some sort of insurance but I really feel like these are just gimmicks. If you something you would like to contribute to this review please leave your comments below the article and let me know your thoughts and opinions. I started using Legal Insider Bot at end August and in three weeks my account went from €250 up to €680 I was happy, but xince then has gone from €680 down to €120.. not so happy. Sorry to hear that Eric. 10-7/14 THIS IS BEVERLY VANHOY I AM ASKING YOU TO STOP YOU EMAILS TO ME YOU DON’T HAVE MY PERMISSION!!! THIS GOES TO GREG MARKS AT HEDGE FUND MANAGER BLUE CREST FINANCIAL INC! REF: LEGAL INSIDE BOT!!! bonuses: if you want to trade, bonuses are great, but shouldnt be used in the refund process to provide the refund amount itself to those wishing a clear refund, put back on the card or into the bank from which their deposit originated. refunds should be immediate and without fuss. i am trying to raise the funds to establish a binary brokerage myself, whereby my traders will have paid email accounts supplied by my existing business (an email provider). my paid email users get regular profit share payouts from the service which they can use for any purpose. they can transfer it to other users or withdraw it. my traders would then each receive an income which could then be used, in part or in whole, to make their trades. that surely is the ultimate bonus. in addition, i am looking for manual traders to make various types of trades which other users can then copy, like etoro for example. Same thing as everyone above, suckered in to thinking gee this may just be ok with the so called Insurnace side of the trades. What started off as a 250 Deposit to trial this, has ended up as $35 and I aint funding a cent more. A scam , and yes Banc de Binary are as bad as they only refund the losses as Mitch says as Bonuses which ties you in to basically never seeing your money again. 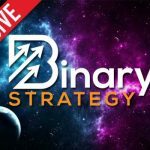 I was tricked by Banc De Binary 2 years ago when I first started trying to trade Binary Options. I opened an account with $250 , then had the phone call saying if you Deposit $5000 we will give you a Bonus . I was green at the time and actually said Ok and tried to Deposit via their site. It wouldn’t accept my card, so they said oh we can help you and do it manually if you like. I hesitantly agreed and they immediately hit my Card for the $5k twice. I protested and said heh I only said to deposit $5k not $10K , please send back the other $5k . ” oh yeah sorry was the reply , we cant do that , you will have to go through the Finance dept and withdraw from there, but we will add $2k Bonus for you. Sorry to hear that Mitch. Try to read my reviews before you get involved with the bad ones. All last night I was watching it and doing the research and I was going to buy this ..
you made me save $ 500! The published win/loss figures are totally fake – for today 29 Aug 14 they show win, win for every trade. But my account shows the same trades as loss, loss. My £250 account has gone down to £0.75 in 9 days! AVOID! I made the mistake of signing up with this bot as well. Sure enough, it was useless at trading and I cut my losses after four trades, with only one win — far from the results touted in the advertisement! And yes, the “insurance” touted to be from Greg Marks’ own account is really just with the broker. In this case, the broker will return the amount of your loss only if you agree to trade a total volume equal to 30 times (!) the amount of the loss and the initial deposit with them. I doubt they have ever paid anyone for their losses based on that. I am not going to even try and will just withdraw the balance and call it a day. Thank you for review, John, Actually, i am interesting in automatic binary option because i have full time and i don’t have any idea about binary trading and still i could not decided that which i should choose the binary option. Request advise that which binary suitable for Indian (me). Kindly reply on above mentioned email-ID. Thank you in advance for proper guidance. Hi Jayesh, there is no real automatic binary option software providing profits at this point in time. I “promised” myself not to join another binary trading bot but when this one came along, who could resist? Fully insured for losses and I have a copy of the agreement sent by email from the grinning Greg. 89 trades – 45 wins, 43 losses, 1 tie. It traded with $25, I started with $250 and ended up with $24 in my account. I emailed Greg and was told to contact the brokers about it. (This, of course is not mentioned in the marketing pitch, where we are lead to believe it comes out of his own pocket!) I have contacted Banc de Binary about it and sent a follow up, with no reply to either. These are my instructions, to deposit more to fix the problem. Did the bot think of this all by itself? I shall keep you informed of any progress with the “insurance” Meantime, I hope this will act as a deterrent to anyone who may be tempted to join this SCAM. I’m in the New York area and I got up for the London open at 3 AM my time to call Bluecrest Capital in the UK. Bluecrest is a bond hedge fund that only recently got into equities. They’ve never heard of Greg Marks. BeeOptions.com, where the legalinsiderbot refers its members to fund an account, has no information on its online trading platform for automated binary options trading. Totally different from their results !! There are all fake ! receive my funds back to my account, they reply me to contact legalinsiderbot and vice-versa ….blabla. I sent them several mails (Banc de Binary) to know if the agreement is a real one, they never reply ! So the conclusion, i’m waiting again to get my losses refunded to my account, but i think sincerely i can never get my money back ! 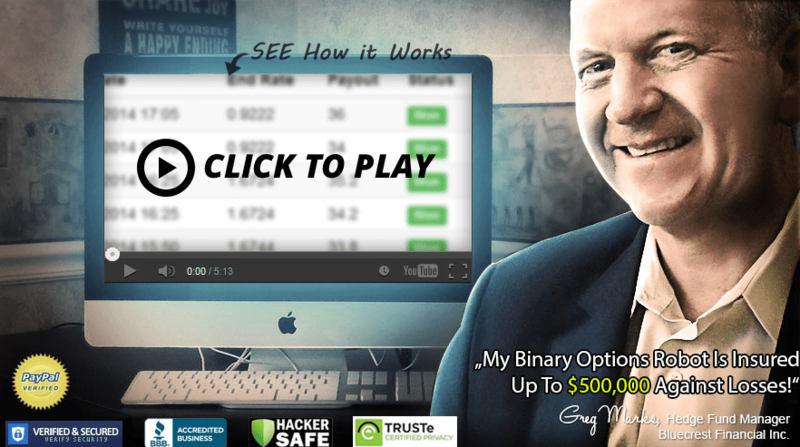 Another big SCAM like others, there is NO real working automated binary options trading system ! But i wondered if with this apparently “fake” agreement, we can do something with the justice ? As i’m european, i don’t know in fact. Finally i had the confirmation by Banc de Binary that my funds will be returned within the next 7 business days, it a good point. But results speak for themselves, it is another 50/50 software and the insuring is valid only for 7 days, no more. “Your loses will be replaced on your account by way of a bonus. So, it is not a “real” refund, your loses are replaced by a bonus, of course, only withdrawable If all requirements of this Trading Bonus program are met !! Thanks for letting us know cyberom. DNS Error: Address resolution of legalinsiderbot.com. failed: Domain name not found. Guess this was one of those scams!!! Wish I had tried to get my money out before I lost over $2500. Sorry to hear that Mimi. This is why I didn’t recommend this software to our readers at Binary Today.